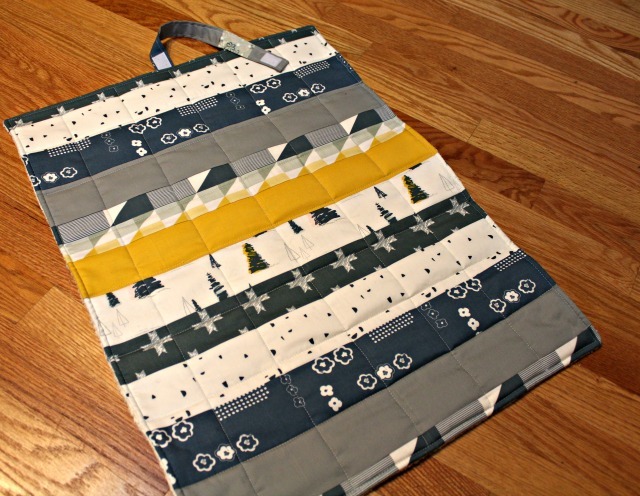 My Bee Sewcial mates and I threw a virtual baby shower for one of our own recently, and I can now share what I made for Kari/quiltsforthemaking and her new little boy. 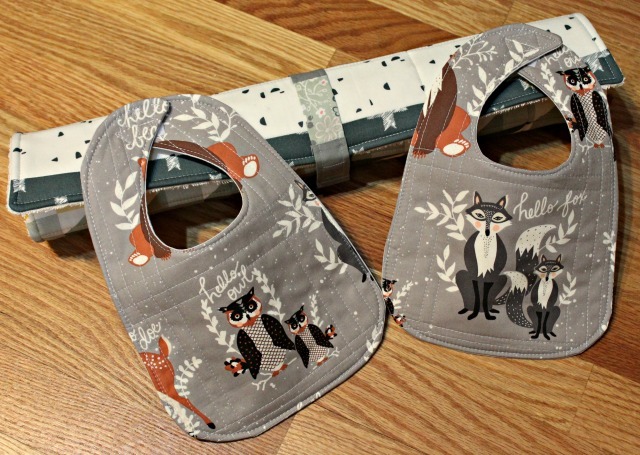 One of the items I've enjoyed making several times for baby gifts is a travel changing pad from Amy Butler's Little Stitches for Little Ones. I used this pattern to make a couple for grandgirl when she was a baby, and they worked and washed really well. I didn't think to get a photo that better shows that the inside is made from terry cloth, but it's soft and cozy. Having participated in the heårtland Blog Tour along with Kari, I knew she liked the line and had made a quilt for baby with it. Kismet! 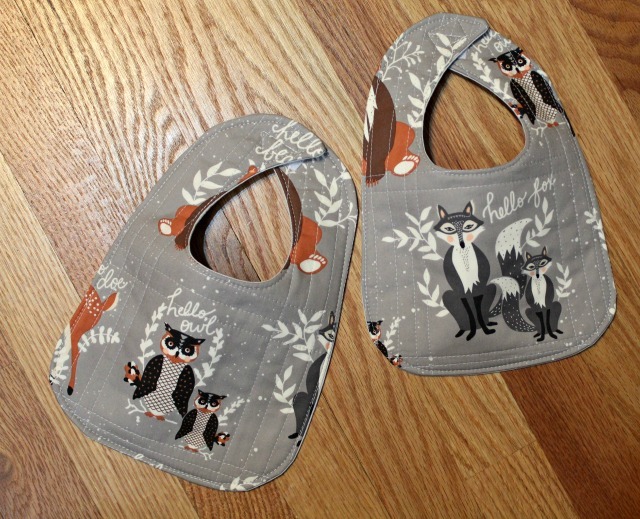 Another go-to baby pattern is Little Baby Bibs by Jennie/Clover & Violet. These were especially fun with the fussy cut animals from the Hello, Bear collection by Bonnie Christine. Sweet little baby items are always a fun sew. I keep adding to a Sewing for Baby pin board, so I'm prepared with ideas when the need strikes! I love the little skunk bib!! What beautiful and thoughtful gifts that are likely going to be deeply appreciated and much used! So cute! Thanks for all the sewing ideas! My new grandson will keep me busy!! So adorable! What sweet gifts, and I love that line, it's perfect for this.